Back to School Gift Basket Giveaway! Well, now, here's something fun! You can win some pretty amazing back to school gift baskets in the iHomeschool Network Back to School Toolkit Giveaway! 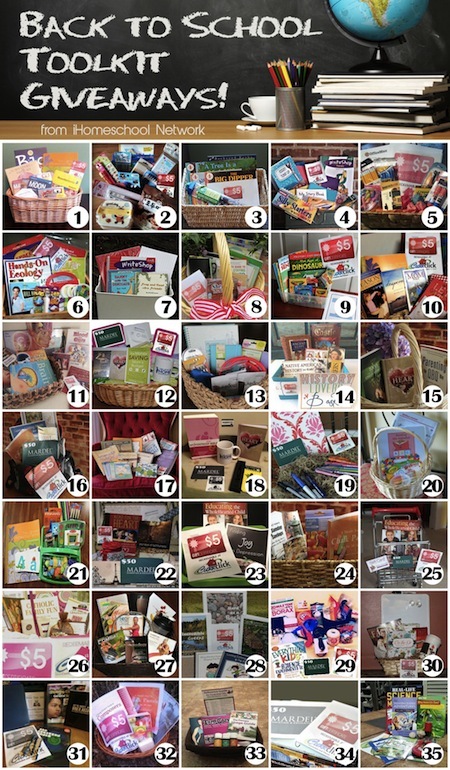 The great part is, you can enter as many gift basket giveaways as you like. Here's hoping you win more than one!